I stitched the panels together, assembled the sandwich and went to work. 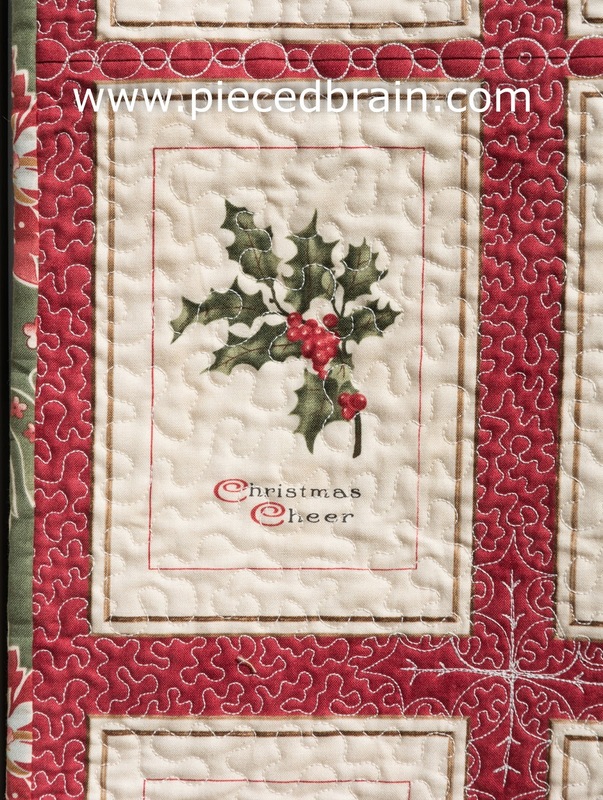 I was really in the mood to FMQ but it took me hours and hours to do the stipple around the blocks with the tiny motif. I used larger stipple inside each block and put the hollies on each corner. I did not draw the leaves, just FMQed them as I went along. The table runner measures 18-1/2" x 64". For the backing I used this gorgeous fabric, which I also did not want to chop. My plan is to place the table runner backing side up during the whole winter, flipping to the front only during the month of December. Look what I found when I went outside to take these pictures! I wish there were some itty bitty eggs in this very small nest. 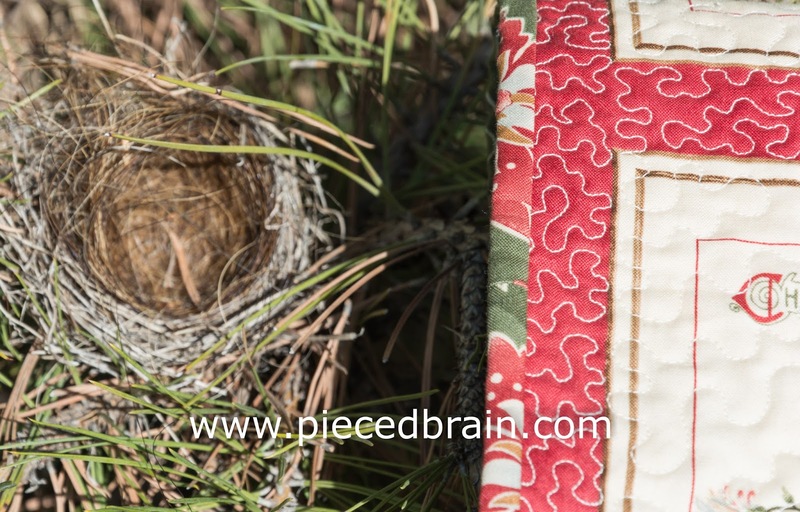 I will go back and take a sharper picture of the nest as soon as I am done with this post. 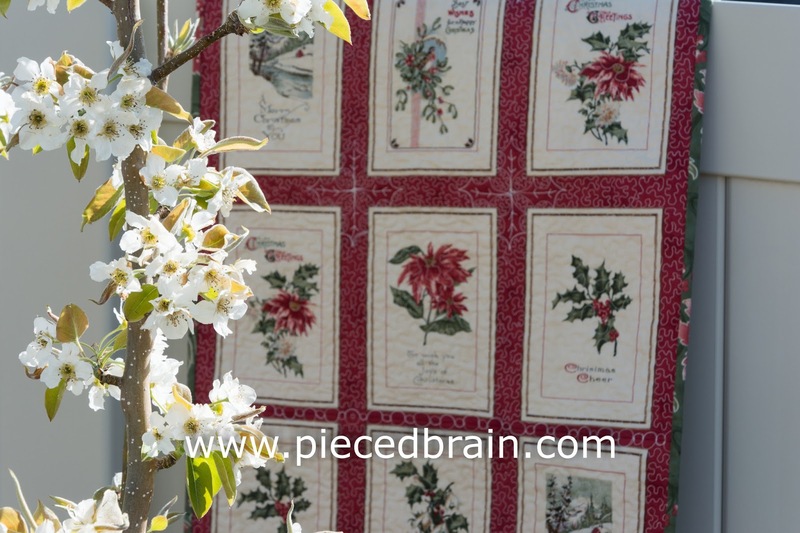 I am linking to Crazy Mom Quilts and Confessions of a Fabric Addict. Before you go, don't forget the check out the latest block of the City Girl Sew Along. I think you will like it! it's always good to get ahead with Christmas projects. It is very pretty.